My 2 year old Parson Russell Dixie, enjoying a day of swimming and critter hunting at the lake (and enjoying posing for photos!). 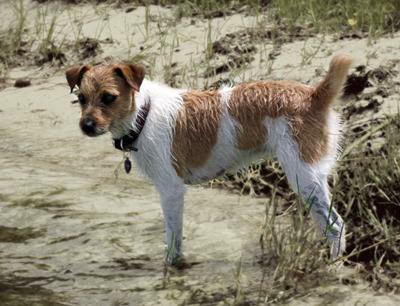 Looks like Dixie has a fun filled day with all the swimming and critter hunting! Too cute!